No crime should go unpunished. 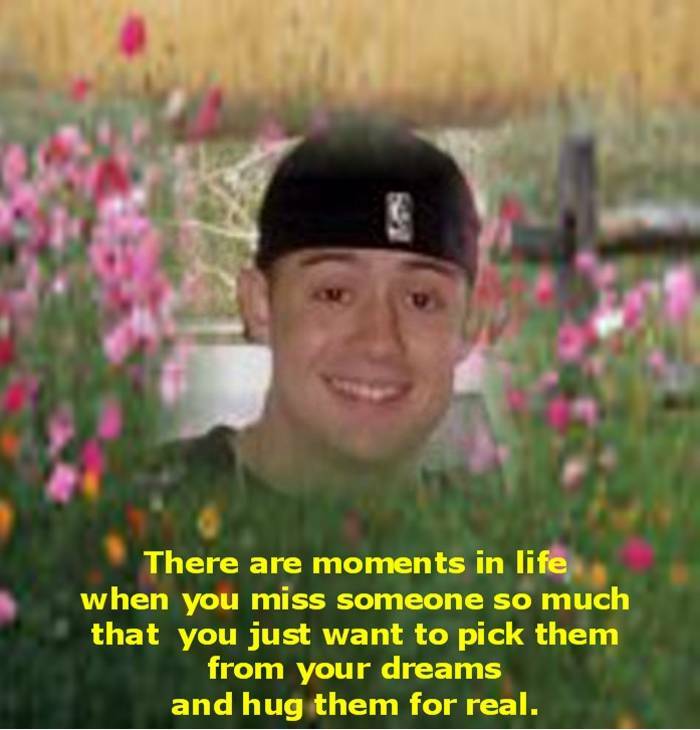 Click on the picture below to see the many families that have lost a loved one and those that have gone unpunished. 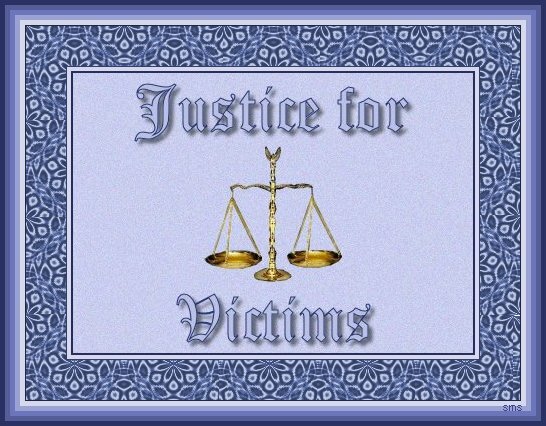 I know it is hard on the families of one that has committed a crime involving a person being killed and many times it is just a wrong choice made by all involved but to the parent of the one that has loss this child it is a life sentence so do you really think any punishment given can be worse than this. Do you really think this person should get a slap on the wrist. I know I have often thought about if the tables had been turned the night of Sept 27th, 2007 how I would feel and the 7 months I have been on this side I do feel punishment of some kind has to be enforced. So many families have lost a loved one due to alcohol and or drugs and it has to stop. ALWAYS REMEMBER YES IT COULD BE YOU!. It only takes ONE wrong choice to affect so many. And always we'll hold you dear. To everyone that thinks will not happen to them read all the poems below that have lost a loved one from ALCOHOL! FEEL the pain in the words they write. And the feeling you have is not even close to what a mother feels in her heart every single day! If you think drinking makes you cool, or one of the guys, superior to others you are so wrong. It just shows how weak you realy are! I have been there and was lucky enough to have not killed anyone but hurt myself and my family for years, the harm drinking does to all families cannot be undone. So the question is how much do you love yourself and others does that drink mean more to you than them. One day of thinking you are a SOMEBODY can bring a life time of pain to someone else. So what does drinking really make you? Ask a mom that has lost a loved one and I am sure you wlll not like the answer she gives you! Wake Up! Be Somebody make a difference by NOT drinking by Helping Others to Stop Drinking! Make the Right Choice! One Wrong choice is all it takes. Even though I wasn't supposed, too. I decided to go out, Mom. I started to get scared, Mom. I was wishing you were here. It started to get late, Mom. We started out of town, Mom. We swerved in and out of lanes. We all laughed and screamed, Mom. I thought this is getting out of hand. We swerved into that lane, Mom. We didn't see it's lights. I heard a horrid screech, Mom. No one is moving, Mom. I can't feel my body, Mom. "How many were in that truck?" My friends had been thrown on the highway, Mom. My eyes are getting heavy, Mom. I am going to visit Grandma, Mom. DRINK, DRIVE, and SPEED sure don't mix well. They have five letters each. So does DEATH! DEATH is often what the end result is. To drink then drive leads only to regret. A mishap could occur, and they would be DEAD wrong. Taking chances to some is just a way of living. In the end this attitude will prove them wrong. Remember then we're made of flesh not made of stone. You could maybe drink and then drive safely on. These days there's no room for impaired driving. You're just a loser when your right to drive is gone. To think straight grows dim with each drink taken. Common sense must now rule your train of thought. Pay a price when common sense just runs amok. Well my cousin was killed by drunk driving kids last year when she was 19. After her funeral I came home and sat down and began to write this poem called "Who Would Know"
they hit me, I spun around. I had with mom, dad, and the guys. She will die, I also felt my spirit go up into the sky. for something they didn't do? I just pulled out of a parking lot and now my life is through. and the civil case will not matter. my family and friends all on the ground. drinking and driving in my town. Get in the car and drive away. Realize you hit a kid. God, he must have only been 5. To end it with a knife. If a friend would have taken the keys!